MOT tests must be administered by an authorised centre, but many of the checks you can do at home. 1 in 5 MOT tests are failed due to dead lightbulbs. 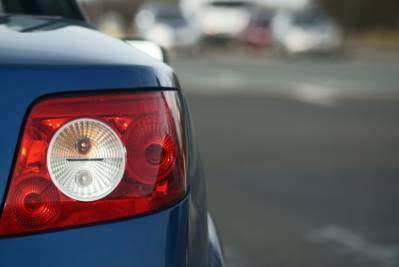 You can check your lights, windscreen wipers and wiper blades, and oil levels yourself. If they need to be replaced order discount parts online and install them yourself before even taking your car to the garage. Keep an eye out for cheap deals on MOT tests and servicing. Try to build a relationship with your local garage mechanic and they might do small jobs for free. If a part needs to be replaced, see if you can find one on the Internet for cheaper before paying the garage price. They can install discount parts just as easily. Photocard driving licenses need to be renewed every 10 years. It costs £20 to renew, but if you're caught with an expired card you could be charged a £1000 fine. A month before your insurance expires, start shopping around for quotes. In most cases, third party car insurance is the cheapest option. Third party, fire and theft cover is more expensive, and comprehensive cover is the priciest. However, this isn't always the case, many companies do not offer third party insurance without fire and theft coverage, and stranger still some insurers will give lower quotes for comprehensive coverage. It's difficult to know which will give you the best offer so when comparing insurance quotes, look at all three insurance types. Shop around for cheaper breakdown cover. Even if you don't find any cheaper options, call up your breakdown company and tell them you feel the cost is too high and you're considering cancelling your cover unless they can offer a better deal. Be polite and patient, and you may get offered a discount. Sometimes traffic charges such as tolls, parking and congestion charges will be cheaper if you pay in advance online, consider this before undertaking a journey. Fines are often cheaper too if you pay them quickly or online. Don't use electronics or air conditioning in your car if you don't need to. Although you may feel that after spending so much taxing and insuring your car that you should at least be allowed the luxury of driving it, but if you can avoid driving regularly you will save money on fuel, and the car is less likely to need repairs from wear and tear.Get a bike and cycle, arrange a car pool with work colleagues, take public transport or walk.